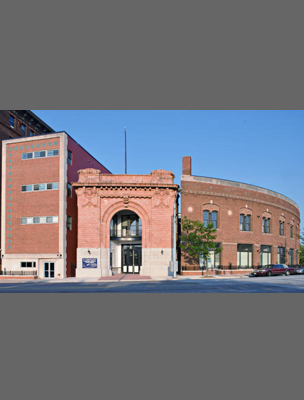 Program: Adaptive reuse of three industrial buildings and a former Baltimore City fire station in the historic Midtown District of Baltimore. The design provides a solution resulted in a high quality development interacting with the neighborhood and its scale, contributing to the Midtown strategic plan for a healthy neighborhood. The project utilized historic and moderate income tax credits. 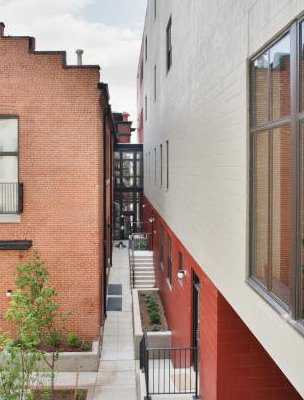 Design Approach:The arrangement uses the firehouse as the central point of access and security and arranges 64 apartments around a central courtyard. Units range from efficiencies to two-bedroom units, with several units utilizing the extra floor height for loft style mezzanines. The industrial buildings are opened up and have large windows. Responsibilities: ArchPlan surveyed existing conditions and prepared design alternatives to connect these four buildings into a functional complex of apartments and services; completed the necessary HUD applications; prepared construction documents and provided construction administration.